An overall measure of a video’s ability to retain its audience, audience retention is one of the key metrics which indicates how favourably a viewer perceives your video. 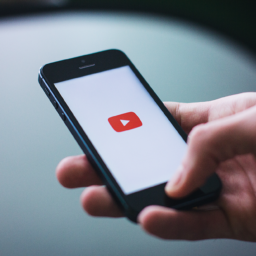 While view counts provide some indication of how much your video has proliferated through the Internet, they do not provide a measurement of how well your video has captured the audience’s attention. In the recent decade, capturing audience retention has provided a tremendous challenge due to declining viewer attention span. Desktop viewers tend to stick with videos for less than two minutes while mobile viewers tend to have a slightly longer attention span. iPhone users watch videos for approximately 2.4 minutes. On average across all devices however the average view time is only 2.7 minutes. In 2000, the average person’s attention span was 12 seconds. This number has dropped to 8.25 seconds in 2015. 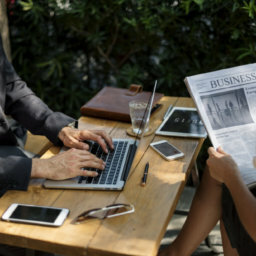 In addition to this shortening attention span, Internet browsing statistics suggest that we are spending less and less time actually viewing webpage content. On an average webpage, visitors read about 28% of the words. Even on small webpages consisting of 111 words or less, viewers read less than half. The percentage of webpage views that lasted more than 10 minutes is less than 5% and the percentage of page views that lasted less than four seconds is 17%. When evaluating your video’s retention ability, it is important to analyze each section of your video incrementally. By doing this you can see where viewer engagement dropped, if it did drop at all. Rather than a constant decline, engagement over the course of the video is sporadic. In reference to the above images, the left graph show steady decline in viewer engagement while the right graph shows an immediate drop, a steady decrease in the middle, and finally a large drop at the end. While this is typical to many videos, there are various techniques you can implement to smooth the viewership across the video. Generally speaking, viewership drop in the first 2% of the video is caused by immediate disinterest from the viewer. While there are many reasons for this, the bottom line is that your video failed to engage the viewer. There are several techniques you can use to reduce engagement loss in the beginning of your video. A popular technique used to increase early audience retention is to promise something of value to the viewer if they keep watching. You often see this on YouTube fitness channels – something to the effect of “keep watching and you will find out the technique I used to get shredded abs”. Regardless of whether you fully deliver that promise, you often will by yourself more time before the viewer clicks away. Additionally, make your introduction as concise and abbreviated as possible. This means not only making the introduction to the specific video topic succinct, but also shortening or even removing introductory graphics and logo sequences. The faster the viewer realizes that there is value to be gained from watching your video, the less likely it is that they will lose engagement. Crisp and clear audio will also help reduce engagement loss. Further, the faster you can showcase and prove the point of your video, the more likely it is that viewers will stay engaged to watch for longer. The sooner you can deliver your value point, the better. Okay, so now you have captured your audience’s attention for the first 2% of the video. How do you keep your audience continually engaged through the other 98%? If engagement loss is steep throughout the bulk of the video, this is indicative of the fact that you captured your audience initially, but then they became disinterested in the videos content. This requires in-depth analysis however, as drop-off partway through the video could also mean that the viewer has gained the information that they were looking for initially. If this is true, the video was a success and it has indeed delivered value to the audience. If an engagement loss was due to declining viewer interest throughout the progression of the video, there are several techniques that can be implemented to keep viewers continually engaged through the bulk of your video. 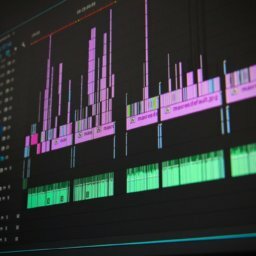 A technique that can captivate viewers throughout the course of your video is to partner with established video makers. This transfers the credibility associated with the established video maker to you. In other words, this provides a very fast way to establish legitimacy. If you come across as more legitimate, then people will take you more seriously and your viewership will likely go up. Indeed brevity is the soul of wit, however, there are times when a message simply cannot be shortened. If this is the case, it can sometimes be wise to split the bulk of your video into multiple segmented videos. This can be a valuable technique in video series such as tutorials. As most people are too busy to complete an entire tutorial session in a single sitting, most viewers prefer to complete small segments in the multiple sittings. When the video’s tone allows for it, it can sometimes help to add comedic elements throughout the course of the video. This helps to break up the monotony of a longer video which has a consistent mood. The third and final drop occurs in the remaining 2% of the video. While it is tempting to only focus on the initial and middle segments of the video, engagement at the final segment is crucial, especially if there is a call to action or any other valuable information at the end of the video. Despite the lessons of high school English class, it is actually better to refrain from recapping the contents of the video. Avoid using phrases such as “to wrap things up” or “to conclude” as these tend to signal the fact that no new information is coming. Make any concluding content, thoughts, or logos succinct and immediately direct the viewer to any calls-to-action. By isolating the beginning, body, and tail segments of your video, you can make changes to each part and tailor them to maintain high levels of audience retention.